Hear from experts how Cisco UCS innovations meet changing business demands. Learn the benefits of the versatile, enterprise-class Cisco UCS B200, C220, and C240 M3 Servers. See why Gartner analysts have identified Cisco as a leader for blade servers. When rapidly changing business demands require fast response, turn to the Cisco Unified Computing System (UCS). The industry's first converged data center platform, the Cisco UCS delivers smart, programmable infrastructure that simplifies and speeds enterprise-class application and service deployment in bare-metal, virtualized and cloud-computing environments. Unified, model-based management, end-to-end provisioning, and migration support come together in this next-generation data center platform to accelerate and simplify application deployment with greater reliability and security. Cisco Unified Computing System delivers record-breaking application performance. See why Cisco UCS is becoming the data center server of choice. Help your organization move into the next generation of data center technology and performance. Respond to new business opportunities more quickly with Cisco data center and cloud management solutions. They help your business deliver new applications and services with greater speed, agility, and efficiency, giving you a faster return on your investment. Your business is increasingly challenged to improve operational efficiency in today's highly competitive, rapidly evolving marketplace. Data centers must be dynamically scalable and agile, able to quickly address your changing business requirements while delivering cost-effective performance. The Cisco UCS Business Advantage derives from the system's simplified, converged architecture and its automated, centralized management. 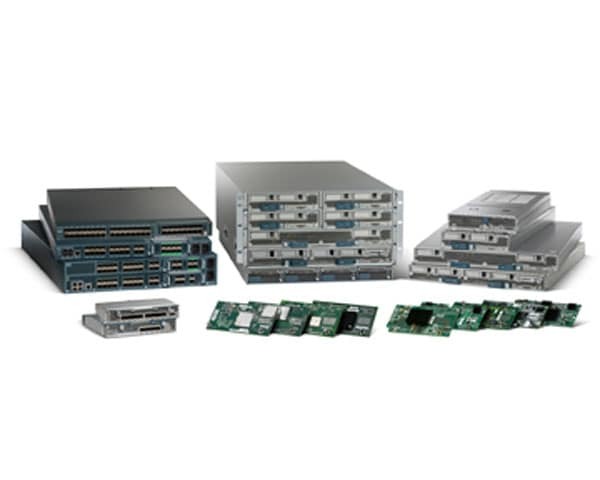 Cisco UCS has fewer components to configure, manage, and maintain. This increases your speed and reduces the cost of scaling. As a result, your IT organization will be more agile, flexible, and cost effective. Your IT organization is ultimately judged by its ability to effectively deliver benefits and solutions that meet real business needs. Cisco Unified Computing System (UCS) can help your organization increase efficiency by addressing the real problems that IT managers and executives face on systemic levels. The UCS lower total cost of ownership (TCO) and increased effectiveness can transform the way your organization does business. See how Cisco UCS addresses the concerns of IT executives in today´s dynamic data center. Forrester studied the economic impact of Cisco UCS, a Cisco commissioned study. Enterprise Management Associates analyzes today´s business priorities and challenges. The Cisco Unified Computing System (UCS) combines high-performance servers, high-speed networking, storage access, and virtualization into an integrated, smart infrastructure. Automatically configured through unified, model-based management, the Cisco UCS simplifies deployment of enterprise applications running in bare-metal or virtualized environments. Cisco UCS greatly enhances flexibility and reduces TCO. A single converged system: Transcending the traditional boundaries of blade chassis and racks, Cisco UCS brings together server, network, and storage access resources to create a physically distributed but centrally managed system. Smart infrastructure: By abstracting the personality, configuration, and connectivity of server and I/O resources, these attributes can be programmed automatically. Unified fabric: By integrating IP, storage, and inter-process communication networks into a single I/O infrastructure, Cisco UCS simplifies cabling and upstream switching while delivering uniform I/O connectivity at no extra cost. Cisco Fabric Extender technology: The network fabric is extended directly to blade servers and virtual machines, with traffic meeting at a single point for consistent, centralized management and unprecedented visibility and control over virtualized environments. An incremental deployment model and comprehensive partner ecosystem make the Cisco UCS the smart infrastructure choice for enterprise application deployments. Manage all system components and configurations through a unified, policy-driven extensible architecture. Simplify, enhance, and centralize I/O management while ensuring policy coherency and consistent network visibility. Find overviews, data sheets and presentations.